Salinity has been sharply increasing since the start of Israeli punitive measures on Gaza.And now, as he sits in the filtered morning light beneath a lattice of grape leaves, he worries less about potable water than the Israeli drone buzzing overhead – often the harbinger of another attack. The Israeli siege sharply restricts the movement of people and materials to and from Gaza – including “dual use” materials it claims could serve both civilian and military purposes. Palestinian farmers in Salfit villages and towns have complained that Israeli settlements, especially Ariel settlement, keep polluting their olive groves with wastewater. 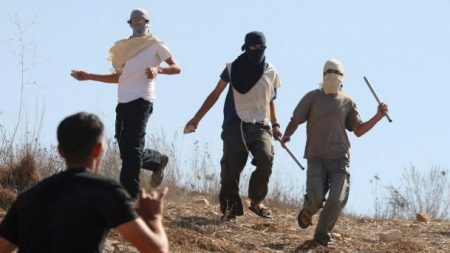 Farmers told a reporter for the Palestinian Information Center (PIC) that Ariel, the second largest settlement in the occupied West Bank, was pouring sewage into the valleys of Salfit city and the towns of Hares, Kifl Hares, Bruqin and Kafr ad-Dik as well as the tourist areas of Wad al-Mutawi and Wad al-Fawwar. 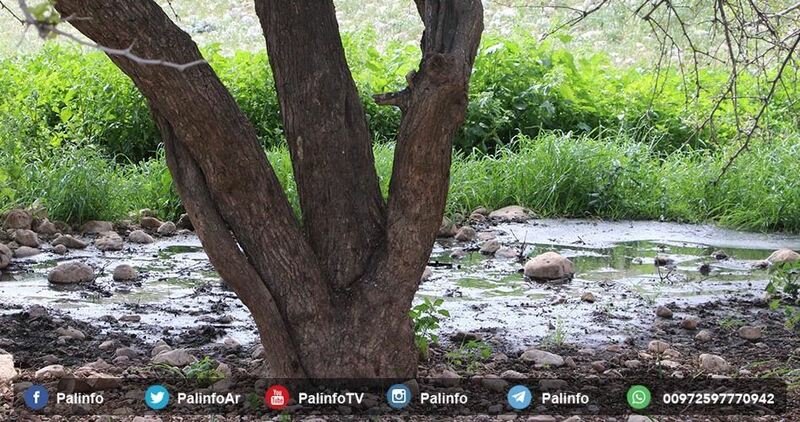 The sewage coming from this settlement, in particular, is polluting the soil in those areas, especially through getting mixed with either rainwater or spring water in Wad al-Mutawi. The settlement of Ariel has been pumping its sewage directly into nearby Palestinian areas for years, creating a dangerous and unhealthy situation for local residents and contaminating groundwater and crops. Israeli settlers from the illegal Sha’are Tikva settlement, on Thursday, dumped their sewage onto school property in the northern West Bank village of Azzun Atma, southeast of Qalqilia, said Alaa Marabeh, principal of Azzun Beit Amin Secondary School. He said, according to WAFA, that the sewage flooded the school courtyard and playground, resulting in a repulsive smell inside the school, stressing that this is the second time in two months settlers dump their sewage on the village school. He said it usually takes over 10 days for sewage water to dry, causing health hazards for students and the community at large. Jewish-Israeli settler harassment of Palestinian villages is a regular occurrence and faces hardly any rebuke from Israeli authorities. 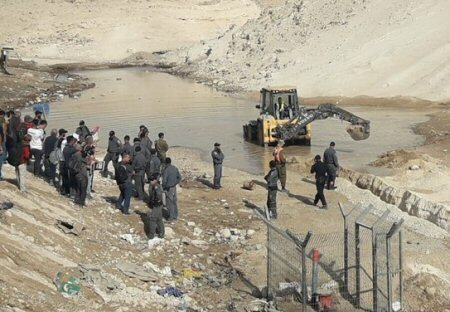 Israeli settlers stormed the Bedouin village of Khan al-Ahmar, east of Jerusalem, on Monday, and flooded the area with wastewater for a second time. Locals said that Israeli settlers from the nearby illegal Israeli settlement of Kfar Adummim, stormed the village and flooded Khan al-Ahmar with wastewater, causing serious environmental and health hazard for residents. 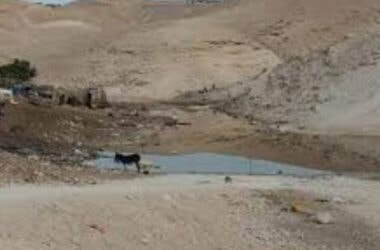 Ma’an sources added that the wastewater from the Kfar Adummim settlement flooded large areas of the village, as Israeli settlers attempted to assist the Israeli government in forcing the residents to leave the area. 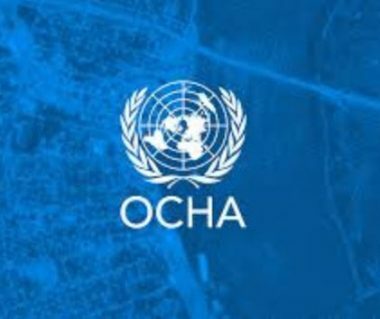 Critics and human rights organizations argue that the demolition is part of an Israeli plan to expand the nearby illegal Israeli settlement of Kfar Adummim, and to create a region of contiguous Israeli control from Jerusalem almost to the Dead Sea, which would make a contiguous Palestinian state impossible. Israel has been constantly trying to uproot Bedouin communities from the area to east of Jerusalem, to allow settlement expansion in the area, which would later turn the entire eastern part of the West Bank into a settlement zone. The Israeli government set up the contentious “E1 corridor” to link annexed occupied East Jerusalem with the enormous illegal Israeli settlement of Maale Adumim, by confiscating 12,000 dunams (2,965 acres) of Palestinian-owned lands from occupied East Jerusalem to the Dead Sea. Ecologists and farmers have sounded alarm bells over the acute damage wrought by Israel’s sewage disposal pouring into Palestinian olive groves in Salfit. Reporting from the scene, eye-witnesses said Palestinian cultivated lands have been terribly tainted by sewage waste spilling from the Israeli Baduel settlement, built on Palestinian lands in Salfit. 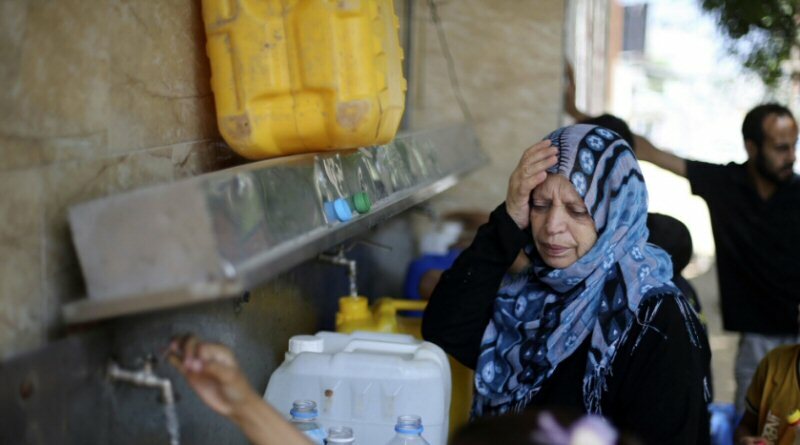 Researcher Khaled Maali warned of the tragic fallouts of sewage waste, mingled with industrial chemicals, which has been pouring into Palestinian springs and streams from 25 Israeli settlements and industrial zones. Salfit, home to natural masterpieces and prolific agricultural output, has been turned into a source of epidemics, infectious diseases, insects, rodents, pigs, and stench due to Israel’s untreated sewage disposal and frenzied settlement activity. Israeli occupation forces (IOF) on Friday afternoon demolished a Palestinian waste recycling plant in Awarta town, south of Nablus city in the West Bank. Local sources told the PIC reporter that an Israeli bulldozer entered the town and started the demolition under the protection of IOF soldiers. 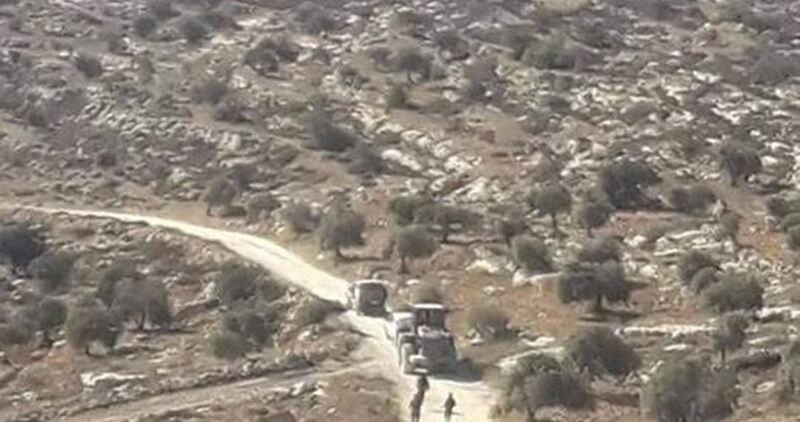 The sources said that the IOF later closed the entrance leading to the demolished waste recycling plant and imposed tightened security measures preventing Palestinian citizens from approaching the farmlands adjacent to the site. 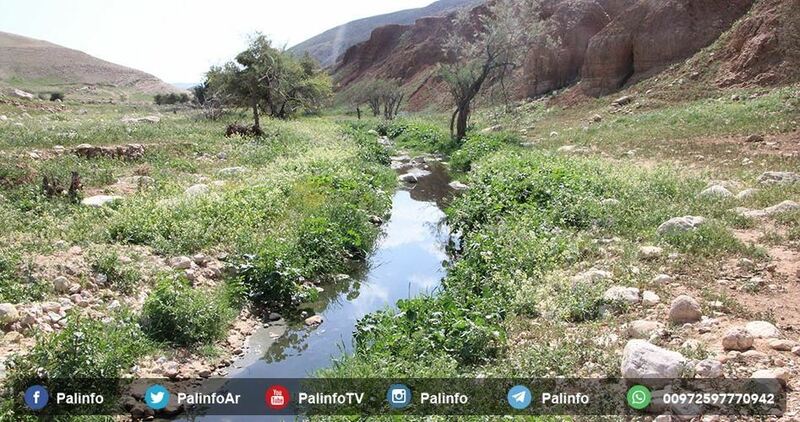 Palestinian farmers have complained that sewage coming from Ariel settlement is polluting the atmosphere and the natural park in western Salfit. According to local farmers on Saturday morning, wastewater is being channeled from Ariel settlement to the area and park of Wadi al-Matwi and Ghanates in western Salfit. 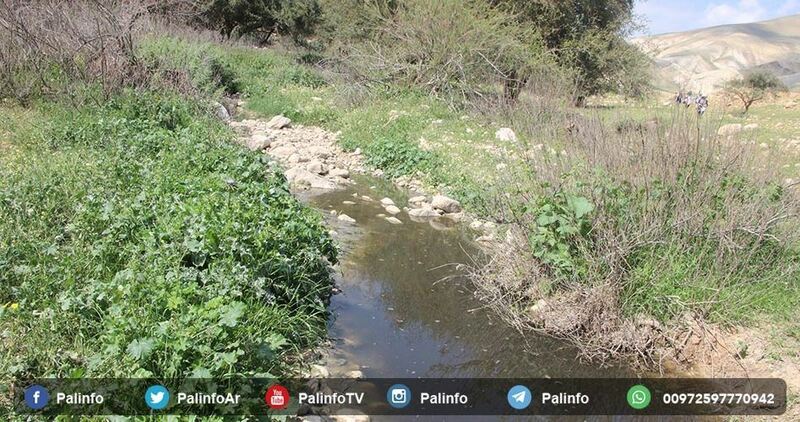 The wastewater has also reached the town of Kafr ad-Dik in Salfit, the farmers reported.